Here’s a simple tip for Safer On-line Browsing, and it applies to all versions of Windows. Use your computer as a Standard User, this can help protect your computer by preventing users and malware from making changes that affect everyone who uses the computer, such as deleting files that are required for the computer to work. Note: We recommend creating a standard account for each user. 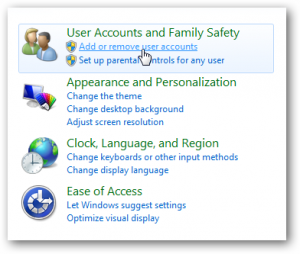 When you are logged on to Windows with a standard account, you can do almost anything that you can do with an administrator account, but if you want to do something that affects other users of the computer, such as installing software or changing security settings, Windows might ask you to provide a password for an administrator account. After you create the new account, you need to add password protection to it. From Control Panel, click Add or remove user accounts. 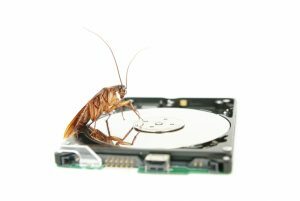 By using your pc as a standard user, websites you visit are unable to install rubbish and pop-ups without you specifically allowing them to. By default this makes for a safer browsing experience. And when you do need to install and new programme, you simply get a pop-up looking for the Admin account password.